Changing custody in Tennessee means changing the designation of primary residential parent in the permanent parenting plan after divorce. How to Change Custody in Tennessee. The key to understanding changing custody is to know the difference between the legal standards for an original custody determination and a modification of custody. In Tennessee, a custodial parent is designated as a “primary residential parent” as a result of having more parenting time with the child than the other parent. The standard for an initial determination for the primary residential parent designation is the “best interests of the child,” and the court has a list of ten custody factors to consider. In the modification of primary residential parent case, the court has to work its way through a multi-part analysis. First, the court must determine whether there has been a “material change in circumstances” and whether the change affects the well-being of the child. If the answer to the first question is yes, then the court needs to determine whether the best interest of the child would be served by modifying the parent serving as the primary residential parent. This has the court utilizing that original ten factors list, but with an eye towards established routines and experience as a primary residential parent. The parent seeking to modify custody has the burden of proof. That parent must make it through the threshold question of whether there has been material change in circumstances, and it is a hurdle not without some height. The Supreme Court of Tennessee has laid out three sub-questions on this issue, as follows: (1a) whether the change occurred after the entry of the order sought to be modified; (1b) whether a change was not known or reasonably anticipated when the order was entered; and, (1c) whether a change is one that affects the child’s well-being in a meaningful way. Whether there has been a “material change in circumstances” can be difficult to establish, even by the relatively low burden of proof known as “the preponderance of the evidence.” Two case examples of requested custody modification that did not succeed illustrate this point. In Massey-Holt vs. Holt, M2006-02714-COA-R3-CV (Tenn. Ct. App. 2007), Stacy Wade Holt was a father who filed for modification of primary residential parent after the mother, Virginia Grace Massey-Holt, moved 35-miles away to accept a job, necessitating a change to the near equal division of time the children were spending with each parent, as well as a change of school enrollment. In his favor, the father had the Permanent Parenting Plan that was part of their 2004 divorce, and which provided for joint decision-making on educational matters. Colliding with the terms of the parents’ contract was a Tennessee statute allowing the primary residential parent to move up to 100-miles without consent of the opposite parent or court order. The end result of the Holt case after three years of litigation was that the Court of Appeals dismissed the father’s application for failure to establish a material change in circumstances. While both parents agreed that the original parenting plan needed to change to reflect the mother’s new residence and job, the appellate court did not consider that a sufficient reason to even begin to consider whether the change to the schedule should qualify to consider changing the child’s primary residential parent. Another case with a long litigation history that was ultimately dismissed for failure to establish a material change in circumstances was Scofield vs. Scofield, No. M2006-00350-COA-R3-CV (Tenn. Ct. App. 2007). Divorced after 17-years of marriage, the parents agreed to a Permanent Parenting Plan for their three children, including standard parenting time for the father and a designation of primary residential parent for the mother. The mother relocated three times after the divorce. The father, who had relocated the family during the marriage for his career with the U.S. Army, decided to retire and settle in Huntsville, Alabama as a permanent residence. But, the father’s case was dismissed at the end of a 2-day trial involving testimony from the parents, two of the children, several teachers, and a law enforcement officer. To the trial court, the father made what appeared as serious allegations in the initial petition, ranging from alcohol and guns in the home to abusive corporal punishment to a decline in the children’s grades, simply did not measure up through testimony and evidence at trial. We can compare these two unsuccessful modification cases against a successful case, which did result in the father being awarded a modification of primary residential parent of his two children. It took the father two petitions and seven years, but Edward Scott Combs successfully won his modification case against the mother, Melissa Combs Cranston. See Combs-Cranston vs. Cranston, No. M2000-02101-SC-R11-CV (Tenn.Ct.App. 2003). In the Combs case, the father demonstrated a material change in circumstances by proving that there was a change after the entry of the divorce order and a subsequent visitation modification order, that the change was not known or reasonably anticipated when the orders were entered, and that the change negatively impacted the children’s well-being. The father presented evidence of persistent interference by the mother with all aspects of the father’s relationship with the children, particularly including his visitation and communication. It can also be useful to focus some attention upon witnesses who testify in primary residential parent modification cases. While each parent is viewed as an interested party with a natural bias towards presenting themselves in the best light, independent witnesses in modification cases are given more weight by trial judges. Independent witnesses include teachers, school personnel, medical professionals, and members of the opposing parent’s family. Many cases involve only the testimony of the parents. When a parent brings in a witness, it may not result in the anticipated testimony. Consider, for example, the case of Cosner vs. Cosner, No. E2007-02031-COA-R3-CV (Tenn. Ct. App. 2008). The father ended up in the unusual situation of putting on his proof without the mother or her attorney being present in the courtroom. The father’s testimony included allegations of inappropriate sexual conduct in the household, the mother’s pregnancy with a child of a married man, and the mother’s outbursts of anger against the father in the presence of the children. While the trial court ruled in the father’s favor, the Court of Appeals reversed. In its decision, the appellate court emphasized the testimony of the social worker did not support the father’s allegations. One tool that can be useful for primary residential parent modification is mediation. In the mediation setting, each parent presents various arguments, configured either with or without lawyers assisting the parents. The mediator becomes the pivot between the sides, looking for sensible and even creative solutions to help to solve the problems within an individual family. If mediation does not result in a settlement, the process does not limit the rights of a parent to pursue a court case. 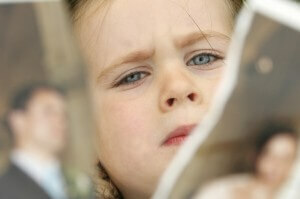 In fact, sometimes a court case is put on hold while it is pending in order to give the parents a chance to mediate. The upside to starting a case and then utilizing mediation is that each side has something to lose, and both face the same deadlines for results, lest the court case proceed to trial. In Tennessee, all post-divorce parenting changes must be mediated before a court will hear a case. For more detail, see Tennessee Parenting Plan Modification | What Must Be Proven to Modify and for additional case summaries, analysis, and commentary read our MemphisDivorce.com Tennessee Family Law Blog and it’s Custody Modification category.